I pray for the soul of my mother. She was lost to me & I just learned she has died in 1972. 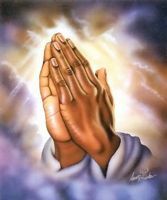 I pray to heal from this loss I feel and for the loss felt by a brother I just learned I have. He lived with her at the time of her death, was only 2, and has not really healed from the loss of her. I pray for the 3 of us & that she has made her peace with God!